Simplisafe is pretty well-known for its widespread home security monitoring services, but the company is now making its first move outside the home by introducing a new product, the Simplisafe Video Doorbell Pro. On the surface, it’s a pretty standard competitor to comparable products from rival smart home device manufacturers, but an accent on design and a couple of unique bells and whistles might elevate it above the fray. First, the standard benefits: The Video Doorbell Pro offers a fairly wide 162-degree diagonal field of view that broadcasts to the homeowner in 1080p high-definition, real-time images. It comes with two-way audio capabilities that include noise- and echo-cancellation features. Yes, it also has a door chime. What homeowners won’t find in competing video doorbell products is a nifty function that is unique to Simplisafe’s Video Doorbell Pro. The device includes a dual-sensor motion trigger that makes the doorbell more accurate and precise than similar devices. The trigger uses two different sensors operating in parallel — a passive infrared (PIR) sensor detects a human’s heat signature and an image classification sensor the company says is coming as an update soon will detect human form and motion triggering. 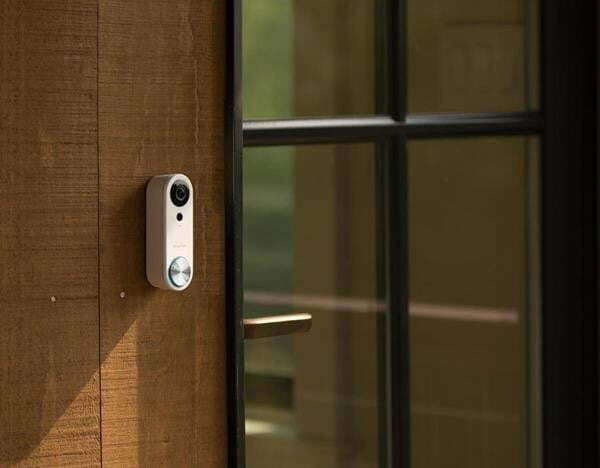 The combination of the two makes the Video Doorbell Pro more likely to tell the difference between a visitor or a delivery driver and passing pets or nearby traffic. The Video Doorbell Pro retails for $170 and is available on the Simplisafe website and in Best Buy stores across the country. The device was designed in partnership with leading global design firm Ideo and it’s clear that aesthetics were as important as practicality. The slim profile makes it compatible with lots of different styles of home, and units sold initially at Best Buy will come with interchangeable faceplates in obsidian, cloud, and jade. A wider array of faceplate options will be made available to owners in the future as well. On the practical side, the company custom designed the new product’s power management platform to integrate with doorbells from 8 volts to 24 volts, enabling the Video Doorbell Pro to work with a wider variety of home designs and power systems. The device can also be used on its own or be integrated into SimpliSafe’s recently relaunched home security system. The new device follows news that the company is interested in pursuing the smart home market, most recently by integrating its technology into products from August Lock. MIT is building a new $1 billion college dedicated to all things A.I.